Strengthening your voice and telling your story are keys to finding the right talent. We’re here to help with innovative talent acquisition software, strategy and creative solutions. Check all of your areas of interest below and a TMP representative will contact you about your specific needs. 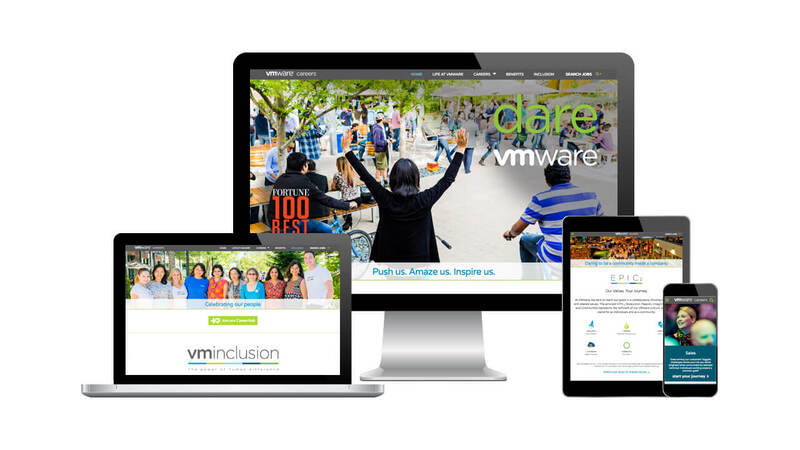 In the meantime, take a look at the following Brand Activation case study – see how we helped VMware reintroduce their brands and improve results. Through TMP's strong collaboration and expertise, we were able to land on a very accurate and compelling EVP.